Puncak (English: Peak) is the popular name for the area surrounding the peak of Mt.Gede-Pangrango, located in the Bogor-Cianjur-Sukabumi regencies, in the province of West Java, Indonesia. This area is a popular holiday area for the residents of Jakarta, the capital city, and its satellite cities. It has fresh air and mountain scenery. The area is about two to three hours drive from Jakarta on the Jagorawi toll road, if there is no traffic jam, but severe traffic jams occur from Friday afternoon until Sunday afternoon all through the year. There is also a traveling car from Soekarno-Hatta airport to Bandung that, depending on the route it takes, may pass through Puncak on its way to Bandung. Before getting on, ask the driver if the car will pass Puncak. Some cars may take another toll road namely Cipularang which is a shorter road to Bandung, but this highway does not pass through Puncak. Actually, the area is the plantation of tea. but over time, people began to come to travel to this area to find fresh mountain air. All the way to the area found many hotels, villas, guesthouses and other tourist attractions. Accommodation prices there seem to be on the high side, and finding cheap (Rp.100,000 or less) room can be difficult. It's a popular option among locals, however, to rent a villa in Puncak - if you have a group of friends, this could end up not so expensive per person. Since some attractions require a long time to be enjoyed, make plans to visit the places so that we can predict whether we will stay or go straight back to Jakarta or continue the trip to Bandung. Taman Bunga Nusantara (Indonesian Flower Garden), Jl Cipanas. Public park, with flower gardens from around the world, maze, giant clock and a tower. 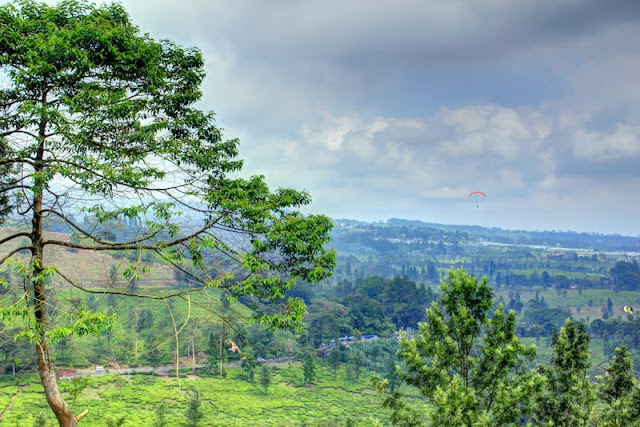 It has been created over 23 hectares with flora from around the world that will grow well in tropical Puncak. 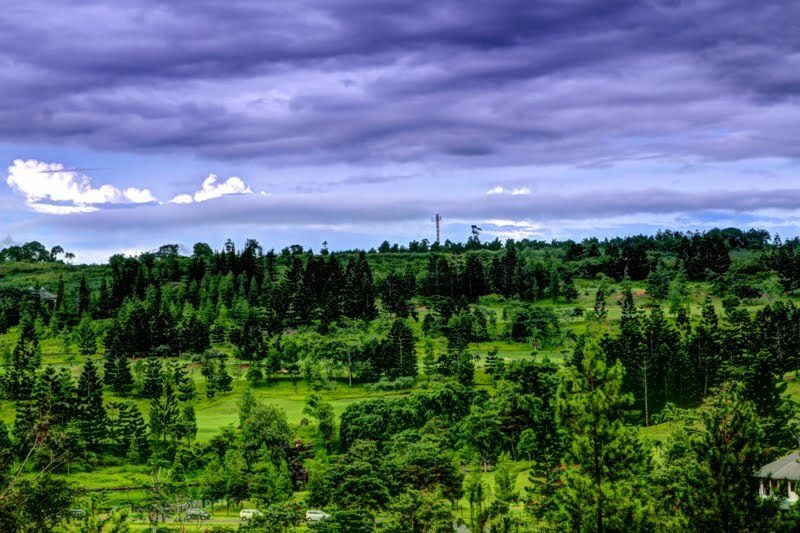 There is also a leisure park called Alam Imajinasi for the whole family, but especially children, to enjoy that exists over 7 hectares adjoining the gardens. Taman Safari Indonesia, Jl. Raya Puncak No.601, Cisarua, Zoo, with car safari trail that allows cars and tourist buses to see and/or feed elephants, zebras, goats, hippos and more, hiking trails, petting zoo. Buy carrots from the many vendors by the side of the road leading up to the zoo before your get there to feed to the animals. Inside the zoo there are more animals to see, shows to view such as the 'Wild-Wild West' the Lion show and the Sea-Lion Show. Ride the elephants and ponies. Rides and restaurants/food outlets. The cheapest souvenir shop you will ever find with good quality souvenirs. It is one of the biggest zoo in Indonesia. It also has accommodation in the form of caravans, traditional house or lodge. Kebun Raya Cibodas (Cibodas Botanical Garden and National Park), Lush and landscaped historical park adjacent to a national forest. This place has plenty of wonderful hiking trails, some leading to waterfalls and a few to hotsprings. One of the longest path lead to the top of Mt. Gede caldera with its widespanning desert. Today, many middle east visitors come to see Cibodas. Sunshine Bay Waterpark (Taman Wisata Matahari), Jl. Raya Puncak KM. 77, There are water-play attractions: water slides, water giant bucket, water toys (aquabrella, aquacup, aquaslides, aquagate, aquaballs), wave pool, outbound area + rafting, foodcourt, souvenir shop, gazebo, guest house & vestibule. 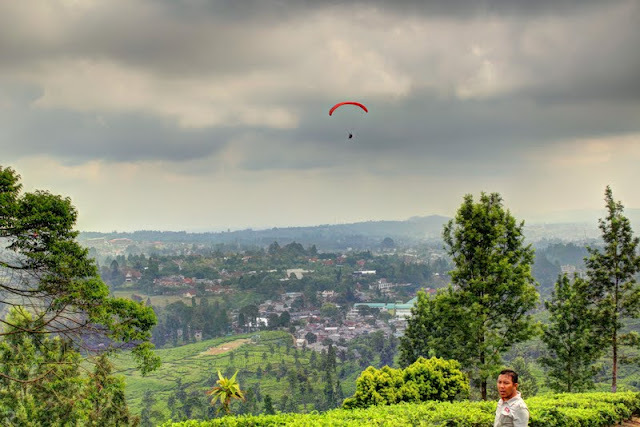 The view of amazing Puncak while having fun at this waterpark can be a terrific and unforgettable experience. For those who love sports paragliding, at the top, there is a hidden spot for this activity and also air-hang gliding. place on the Mount Paragliding, near Masjid At-ta'awun. Paragliding is a sport that uses a parachute and is usually carried out in the hills of the mountain as a runway. sport is somewhat similar to that used parasailing boat. The difference is only using foot paragliding. There is alternative route to the Puncak to avoid traffic jams. Exit to Sentul at Jagorawi highway and follow the signpost directions to Rainbow Hill. This road will be out in the Mount Geulis, Gadog. The scenery along the road is very nice.